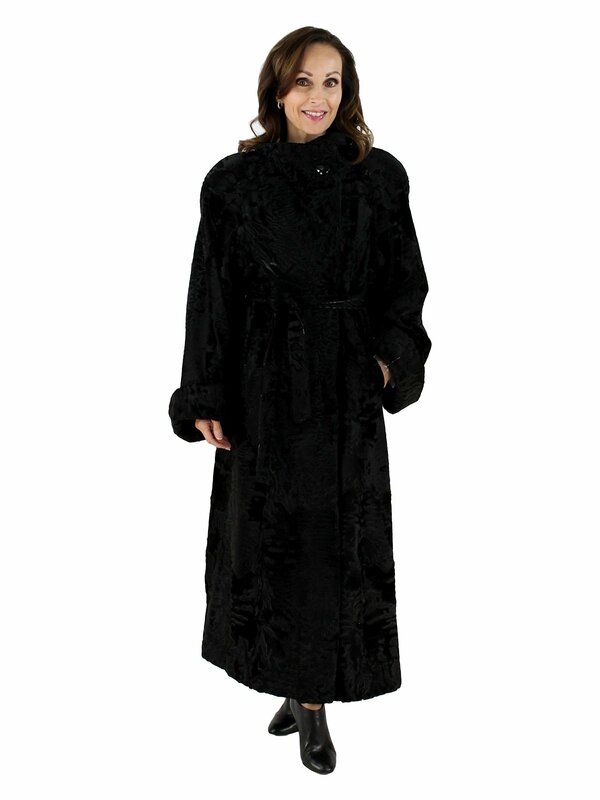 Elegant black swakara coat with detachable belt. Fits sizes 8 and 10. Wing collar. Turn back cuffs. One button at neck and 2 hook and eye closures. In like new condition. Exceptional quality and style. Rare find. Swakara is in high demand in the "new " fur market. Perfect for our fashion forward buyers!